Dimension Site Map now up! Wondering what New Years will look like? Well now the site map is up you can get a load of the cool space that you will be partying in for New Years. 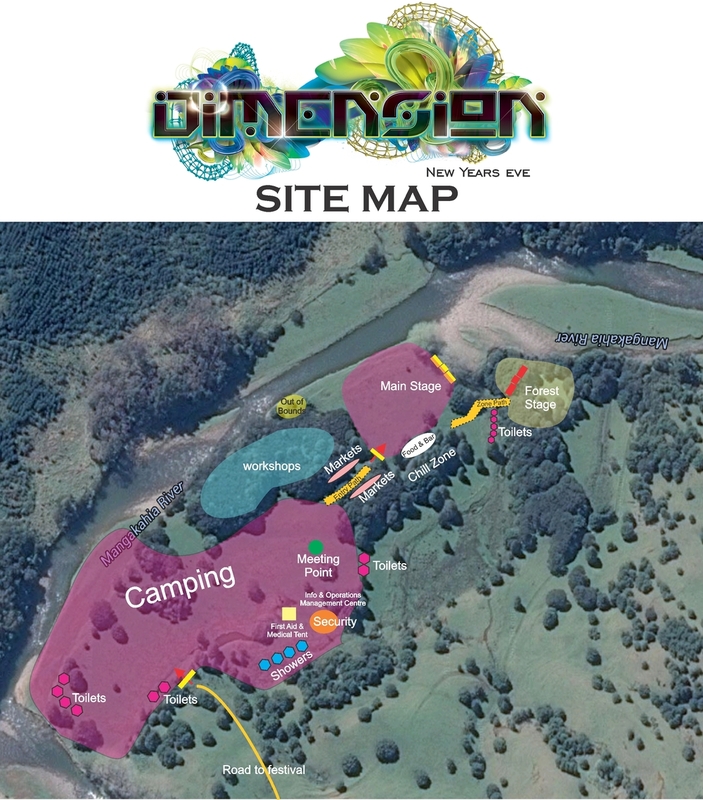 Featuring the river right beside the dancefloor, heaps of trees, workshop spaces and of course the party zones, take a good sqiz at this map and get it loaded into your head! Now, Pre-Party is this coming Saturday so we invite you to come and taste the Dimension NYE experience – there are still some tickets left! Pre Party Photos out, NYE here we come!